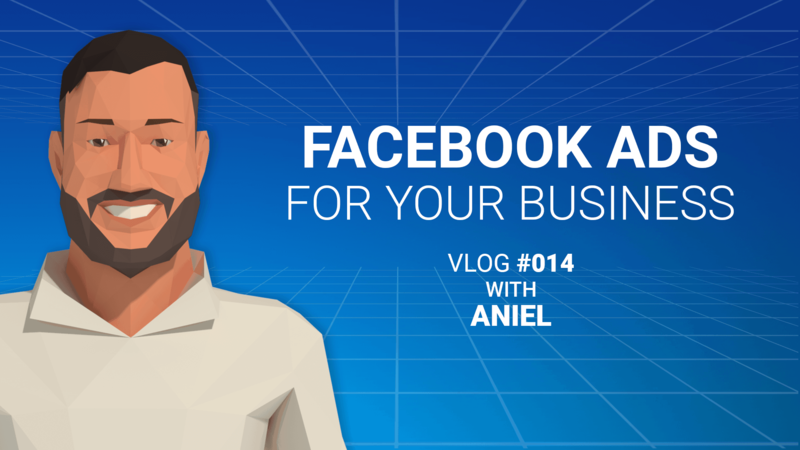 00:03 Hey, let's talk about Facebook ads. I know every business has tried it at one point or another, right? You've tried it, you haven't really gotten great results. Maybe you tried it, created an ad, threw a bunch of money at, and didn't really get the results you were looking for. Although the cost per click, you may have seen browsing around, has gone up ever since the data breach, all that drama with Facebook, it's still a really useful platform. So I think you should give it a shot. I'm not endorsing that, I'm just saying give it a shot because I think it's a really useful tool, and it could probably help your business. 00:37 So I've got a couple strategies that you may want to put into action when you take this the second time around. Number one would be make sure you set up your Facebook pixel on your website or your landing pretty good, wherever you're driving traffic or wherever the ads are going to, you want to have the pixel installed there so that you can get full tracking on everything that's happening. So it's being able to see a full picture of where the customer clicked on the ad, they got to your site, what did they do on your site, so you can really measure what's working and what's not. So simple thing, but before you do any advertising, make sure that that's installed. Otherwise, you have really no data to support why things are happening or how things are happening. 01:15 Number two is really about strategy. You know your audience, you know the product you're selling. Really only focus on what that target audience is. It'll also help you save money, right? So when you're defining the audience, think about who you are selling to, not just demographics as far as gender or age. But think about location, think about platform. Is it desktop, is it mobile? Are they really going to be mostly on Instagram? Are they not going to be on Instagram? Then remove that. So just those things, small nuances that you can change that can help really focus in on who you're talking to. Again, you know your product, so you know who you're talking to. That's what you would want to focus on. So make sure you have a solid strategy and also a solid goal of what you're trying to do with the ad. Are you trying to get people just to go to your site and it's about awareness? Or are you actually trying to create a conversion and get people to make a sale? So really have that clear picture of what you're doing before you dive in. 02:12 Number three is really I guess the basis for this whole thing. The second time around, make sure you do a trial and error, or calculate a trial and error, we'll call it. Where you're putting several ads out, several different ad sets that have a number of variables. Maybe it's different pictures, different headlines, different offers. So those things will help to measure which one's working. Only throw a little bit of money behind them and maybe wait about two weeks till you get about 1,000 or 2,000 views. So then you can get a good enough data set to make a judgment call. 02:47 We see okay, out of the five or six of the different ad sets that we ran, these two are performing the best. These two look good, all right let's pull back money on those, let's up the money on these two that are doing well. Then maybe do the whole thing over again. Then we use those as a learning to build a couple more that we'd run alongside those. So again, calculate trial and error because even though you may think what's going to work with your audience, it may not, and some things may surprise you that actually do work. 03:15 But also when you're looking at measuring and trying to see what works well, again go back to the strategy. What was your goal? Is it click through rates? Is it getting people to the site? Or is it getting people to actually purchase? You may have different intents based on whatever your campaign is. So even though a banner might have a higher click-through rate of getting people to the site, it may not be converting well. The second ad ... So that was number one click-through. Number two had a lower click-through but the conversions was actually higher. So that's actually the ad that you would want to push through because conversions was your goal. Then you could utilize, maybe there's something in that one banner that had a high click-through rate that we could utilize or maybe combine the two and see what happens. So it's a lot of this trial and error and piece by piece seeing what works and what doesn't. 03:57 Those are the four things that I think I really want you guys to implement this time around. Setting up a Facebook pixel, making sure you know your strategy and your audience going into it, and really implement this calculated trial and error stage. I guess number four would be looking at the proper measurements, click-through rates, conversions. Once you actually do that, then we can talk about retargeting, which is now getting to advertise at a lower cost. We talked about the cost per click going up, but after they go to your site and they get tracked in your cookie, we can retarget to those people at a much lower rate. So something else to talk about maybe in another video. 04:31 So if you have any questions on how to set this up, or you want to talk about what we can do, definitely leave a comment. Follow us, and I'll catch you guys later.